Often we are asked by potential students, why they should go thru a specialized school like ours for chi training when there are so many free programs a person can go through to learn about energy cultivation. I try to explain to them, that if all they were looking for is an introduction into energy work or simply getting a little more energy out of their body, then they should go thru those free programs where they can find them. Even most of the different type energy systems teaching about chi energy are made for that type individual that simply wants to get in a little better condition. A school like ours is not needed for those type of people with the only goal of getting into better shape. Our School of Chi Energy was designed to enable students to reach the highest levels at energy work. The school teaches students how extreme abilities with energy work come about and what is involved to reach that level of expertise. Most energy systems you can go through today, were put in place many years before and are not aware or understand the true consequences of cultivating or building up large amounts of chi in their body. Most systems teach or deal with “chi energy”, as a mysterious life energy force that is all around us. Through scientific research, we now know that this “chi energy” is actually the same thing as bioenergy or broken down into bio-photons. Bio-photons are a form of light that our bodies naturally emit through it’s own nerve fibers or nervous system. The School of Chi Energy teaches students specially designed low aerobic energy exercises that take advantage of your body’s ability to build up it’s own nerve fiber system by making stronger connections & enlarging the fibers them self, thus causing more bio-photons to be emitted . By cultivating their chi in this way, the students are able to emit much more bio-photons then normal, simply by performing the energy exercises regularly. The students are taught over time to cultivate enough of this energy, so that they can use it to build energy forms. It’s in building up these energy forms that a student can reach the higher levels, where extreme abilities come out. If you check out the The School of Chi Energy course catalog, you will be able to read about the type of topics we are covering and specifically teaching our students how to perform. 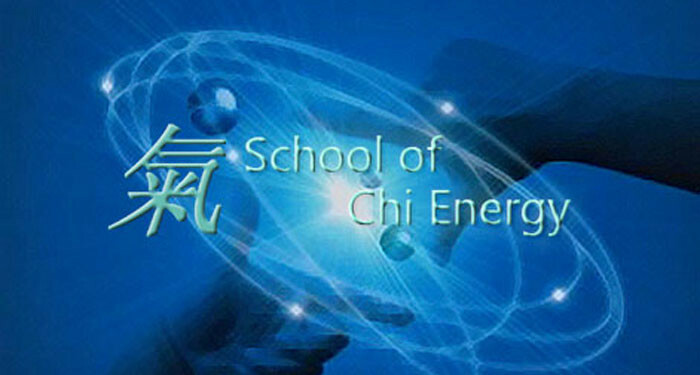 If learning high level energy techniques is something that would interest you, then be sure to visit our School of Chi Energy. Our school teaches a student how to first tune into the energy in the first place and then to build up large quantities of it, but in a safe way. Chi Training Instructors explain to the students how & why bad feeling side effects can happen while cultivating large amounts of energy and how to avoid those problems before they start. The school also provides free seminars that will point out some of the obstacles that can be in your way when trying to cultivate large amounts of energy. After providing that person with all the benefits and the practical applications that they will learn as one of our students, they now have a much better understanding of why a person should come to a school like ours, over one that that they can go to for free. Are you the type of person that has great expectations, as to what they can accomplish in life? If so, then maybe a school like ours is exactly what you have been waiting for to help you reach those goals. If you have questions, you can talk with one of our Chi Training Instructors Today by either email or phone at 919-771-7800.